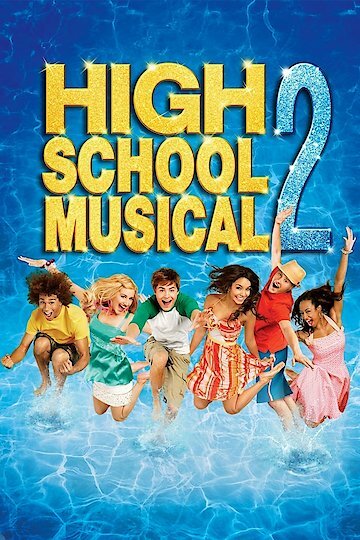 High School Musical 2 takes the first film and easily continues on the story of the original film. This film was made in 2007 and definitely was made very well. High School Musical 2 has a very basic plot which is stretched out to become a wonderful movie. The story showcases and begins showing how Troy Bolton wants to get a job because of the need to pay for college. He knows that him and his girlfriend, Gabriella needs to stay together, so that sort of comes into his mind regarding the job he wants. Sharpay Evans, who is in deep awe of Troy knows that she can easily hire him to work at her country club. She gets one of the main employees at the country club to convince Troy that he can work there. Sharpay's original plan was to help get Troy all to herself. However, she ended up having troubles with this aspect because Troy ends up getting the entire East High Wildcats to get a job, including Gabriella who ends up being the swimming pool's lifeguard at the country club. Sharpay has troubles with this since she really wants Troy to sing with her during the Summer talent contest at the country club. She tries desperately to convince him to try out singing with her, but since he initially said "no", she offers him a raise in the funds. The story continues on showcasing different musical numbers and all sorts of performances. The movie has been considered as a wonderful addition to the original High School Musical film since the story shows how everybody grows and becomes better friends. The story continues later on showing how the contest goes and how Sharpay tries to get rid of the relationship that Gabriella and the wonderful Troy share. Throughout the story, Sharpay and her brother, Evan, try to get all of them kicked out and fired to help Sharpay with her plan to get Troy to herself. The film ends wonderfully and has some sort of a happy ending. High School Musical 2 is a film that takes the ordinary story to a new level. Zac Efron definitely tries his best to showcase his real voice since it was only his voice that was heard in this movie. This movie is definitely worth watching if you enjoy good movies that have wonderful stories and great songs. Very few movies nowadays are musicals, so this movie is definitely one of a kind. High School Musical 2 is currently available to watch and stream, download, buy on demand at Sling, Amazon, Google Play, YouTube VOD online.